The Carlisle Brass Bulb End Hook & Mortice Plate Casement Fastener is a popular choice in traditional interiors and has a satin chrome finish. This fastener is suitable for windows with a weather seal gap of up to 5mm between the window and frame. Typically the bulb end fastener will be used with the bulb end stay; however it can be used with any one of the window stays we sell. Often it will be used with a sliding window stay or the plain Victorian stay. 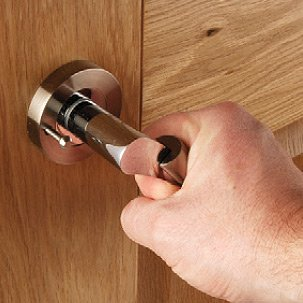 For added security one of the stay pins can be replaced with a locking pin, since the fastener itself is non-locking.